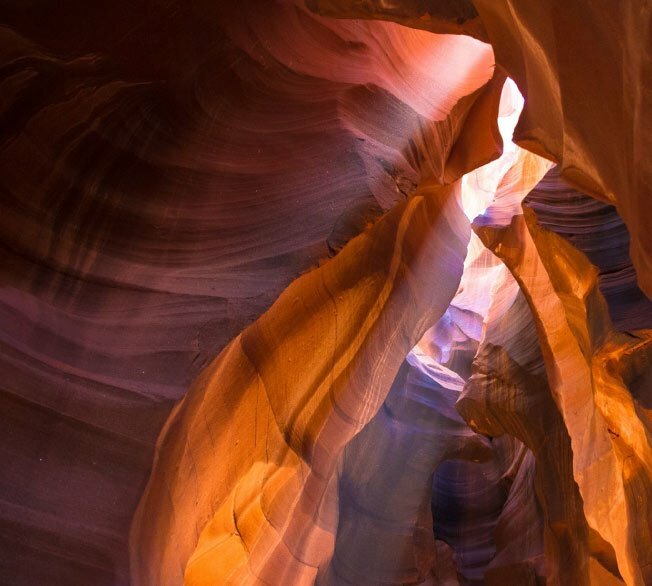 Light shafts filtering into Antelope Canyon. 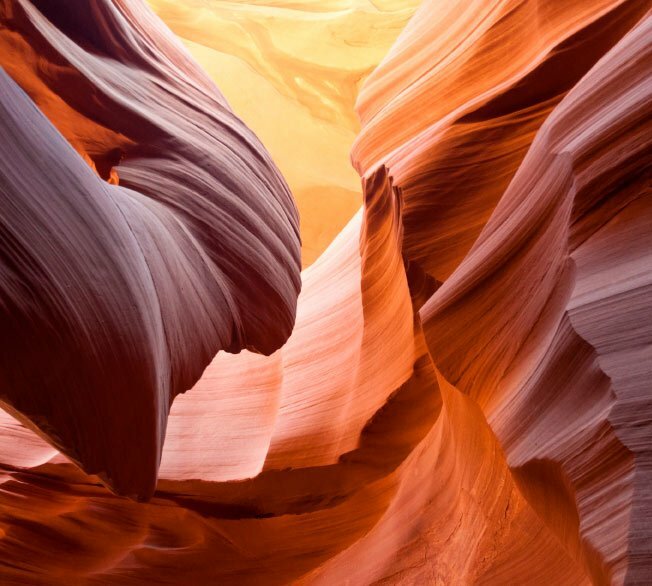 Rippling sandstone walls within Antelope Canyon. An aerial view of Lake Powell. A panoramic photo of Horseshoe Bend. The city of Page, neatly tucked into the thriving Arizona desert, is a tight-knit community as well as home to the revered Navajo Nation. Surrounding this unique town are some of the most extraordinary natural rock formations that have been eroding for thousands of years. 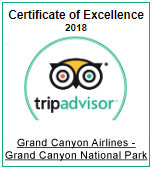 Grand Canyon Airlines is excited to bring your family to all of the incredible locations and provide exceptional sights only available from the sky. 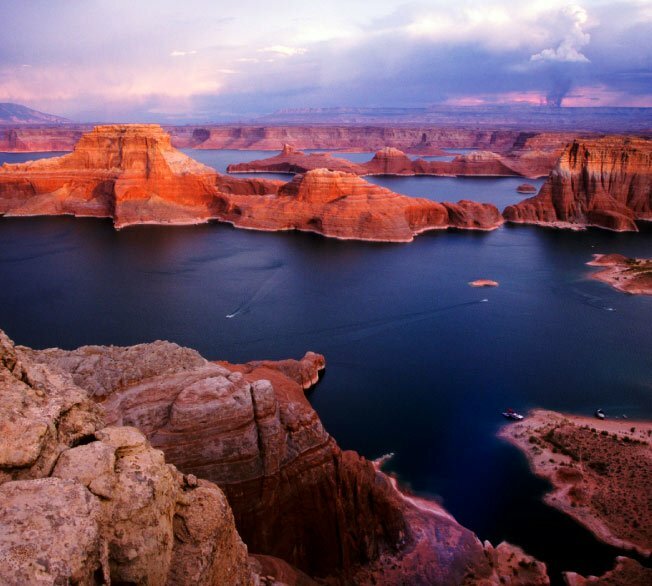 Discover the vast, glittering waters of Lake Powell created by the nearby Glen Canyon Dam. 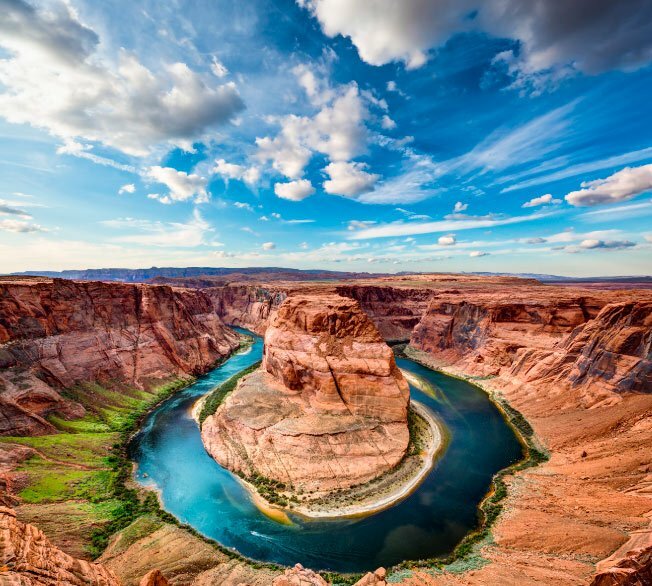 See the elusive Horseshoe Bend - a hairpin turn in the Colorado River that has drawn photographers' attention for decades. Beyond the bend is the incredible Rainbow Bridge, the largest naturally-eroded archway in the world. Perhaps the most exciting tour opportunity in Page is a helicopter landing atop Tower Butte. A mile high in elevation, this enormous rock structure is like a skyscraper emerging from the desert. The top of this butte offers a 360-degree view of the desert panorama. Your visit to Page, Arizona is not complete without seeing these magnificent features of the Southwest United States.